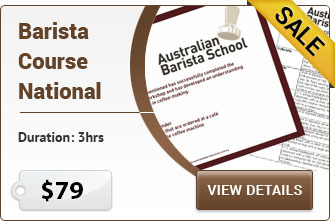 If you are serious about getting a job as a barista then you must do a Nationally Recognised barista course. 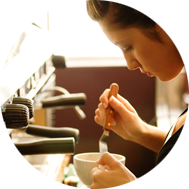 Our 5 hour barista course includes 2 hours of coffee art and results in a nationally recognised Statement of Attainment bearing the units of competency SITHFAB005 Prepare and serve espresso coffee and SITXFSA001 Use hygienic practices for food safety (issued by CBD College, RTO# 91399). 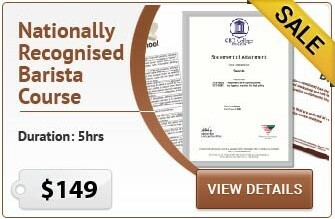 Increase your job prospects with our package deals. 'Wow, I did hot realise that there is so much considerations to be observed in making a good cup of coffee. My trainers really did expanded my knowledge of appreciation of this craft. Thank you for persevering in teaching us' Maria L.